Saxon Global has shown tremendous growth since its start in 2007. The company was founded by Gopi Kandukuri as a technical staffing and business intelligence consulting firm. 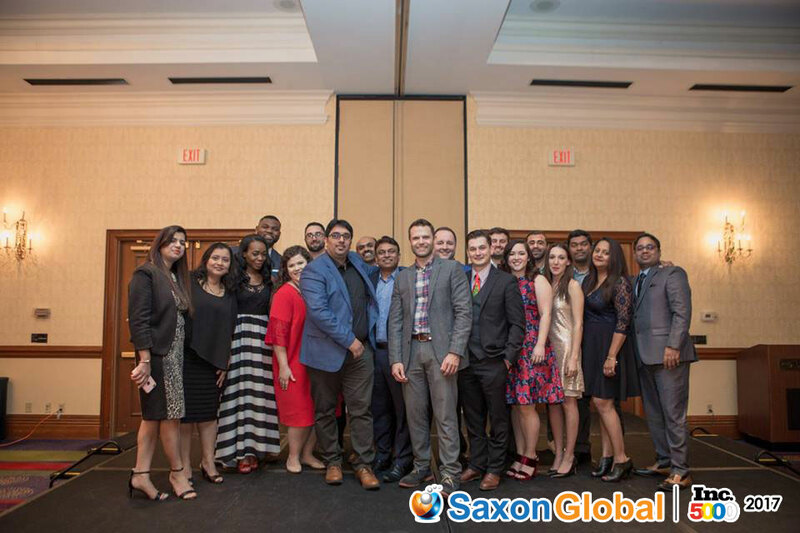 Starting with an office in North Texas, Saxon quickly expanded to add an off-shore team in India. Gopi was able to build an outstanding recruitment team, and the staffing division aggressively grew. The off-shore team focused on supporting large system integrators and Tier 1 staffing firms; while the on-shore team worked to build a fast-moving model that was able to source the right technical candidates effectively. For ten years, this model has been successful. 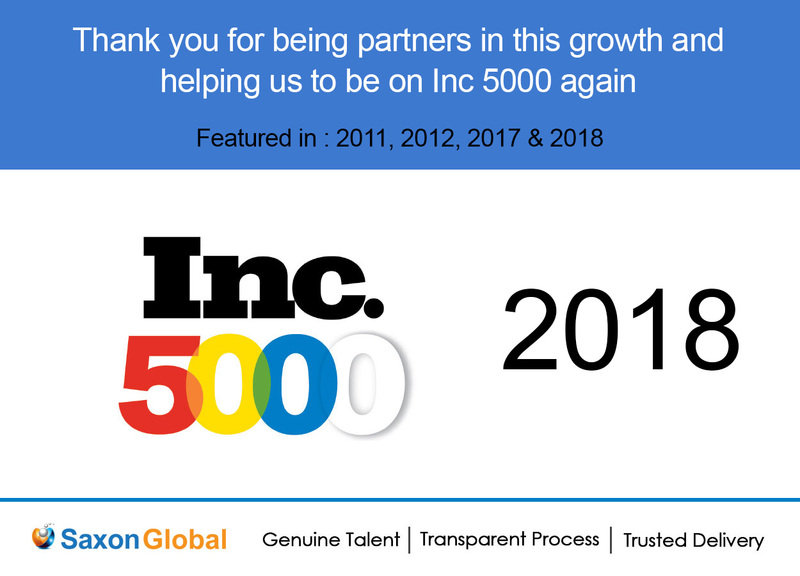 In 2018, we are reaching for even bigger goals and looking to shake-up the IT staffing, recruiting, and consulting industry. Backed by disciplined and highly-trained teams, Saxon Global has set its sights on the rest of the United States. We will continue to provide a great value for our clients that are challenged to scale past their own recruiting capability. For the 3rd consecutive year, Saxon Global’s revenue has exceeded the national growth rate average by double digits. Finishing 2017 at an all-time high, our revenue is on track to keep growing at an accelerated rate in 2018. In 2017, the Dallas team focused on building relationships with direct customers and training their new team members on the best practices of IT recruiting. Our internal headcount has tripled in our Dallas office and Saxon has added over forty new faces to the teams in India. We’ve filled up our office space in Dallas with veterans of the IT staffing world and quick-learning new comers to the industry. To stay on track for our 2018 growth goal, Saxon is building solid teams that will serve as the foundation for the growth to come. The Dallas office is expanding to a team of 30 account managers and recruiters by the end of the year, and the off-shore team will reach 150 team members. This gives us a platform to service our local market with an exceptional amount of customer service while utilizing the scalable power of the off-shore team. The Dallas team is forming a culture continuous learning. Whether it’s our time spent at weekly skilled sales training or our monthly Lunch N’ Learn technology seminars, we are always pushing ourselves to evolve. Culture is important in any business, but at Saxon Global it is an essential cornerstone to servicing our clients. We only hire team members that amplify the ideas of our core values: accountability, customers first, teamwork, simplifying, playing bold, and having fun. 2017 was an exceptional year of growth at Saxon Global, but 2018 is looking even brighter. We’re excited to continue this journey of growth and success with all of our clients, present and future.